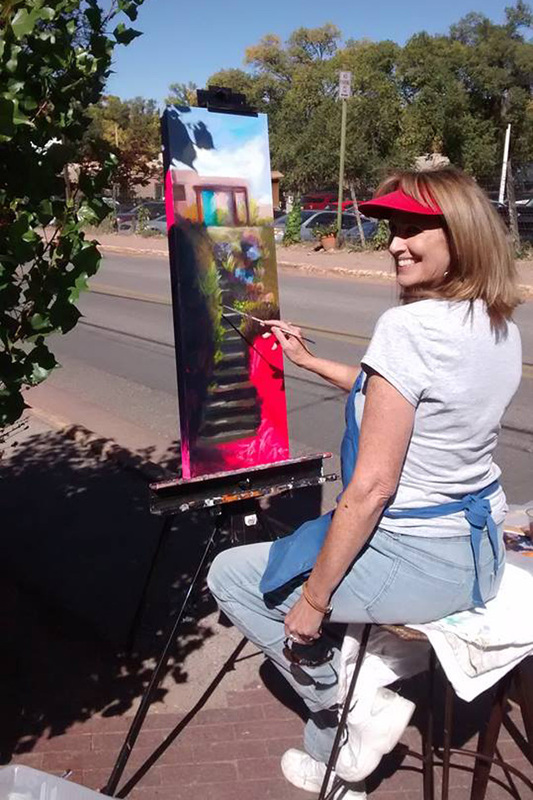 Each garden in the 2018 Placitas Garden Tour will feature a Placitas Plein Air artist painting on site. “Plein Air” is a French term for painting scenes on location in open air. 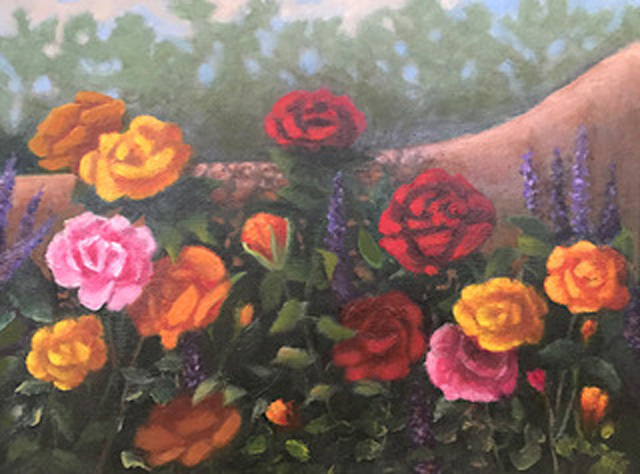 The artists use paints or pastels to transform the garden into a lasting image that tells the story of how the garden was lovingly created and nurtured. 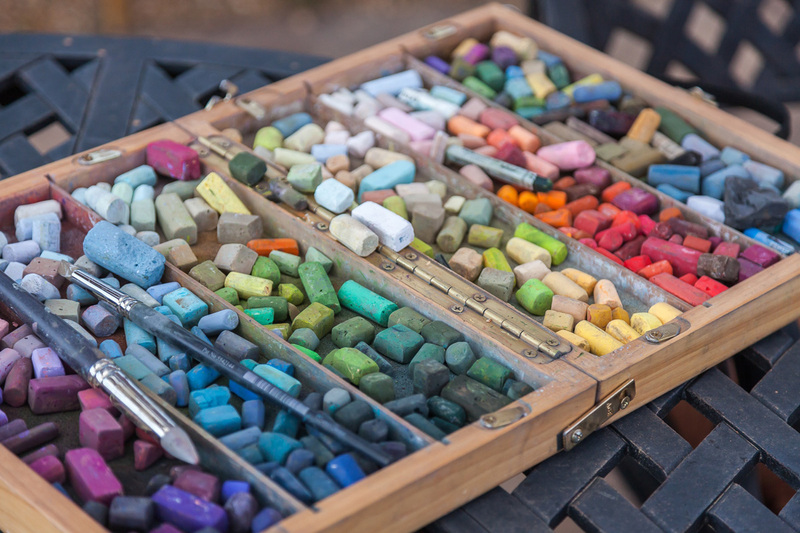 These artists follow the tradition of French painters from the 1840’s using small, portable painting kits on an easel to create an outdoor mini art studio. 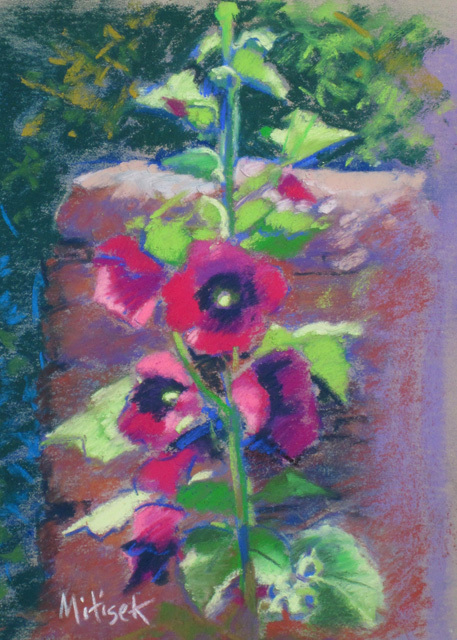 Each painter has their own distinctive style just as each garden has it’s own distinctive qualities. You are invited to watch the magic unfold as the artists paint the gardens. 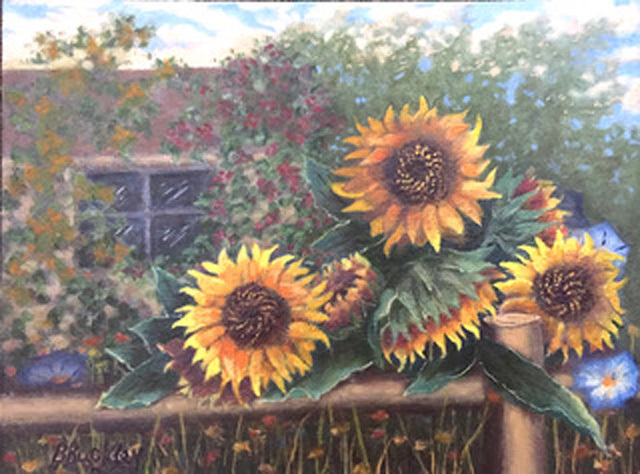 The paintings will be on display and for sale at the Placitas Community Library the day of the Garden Tour. 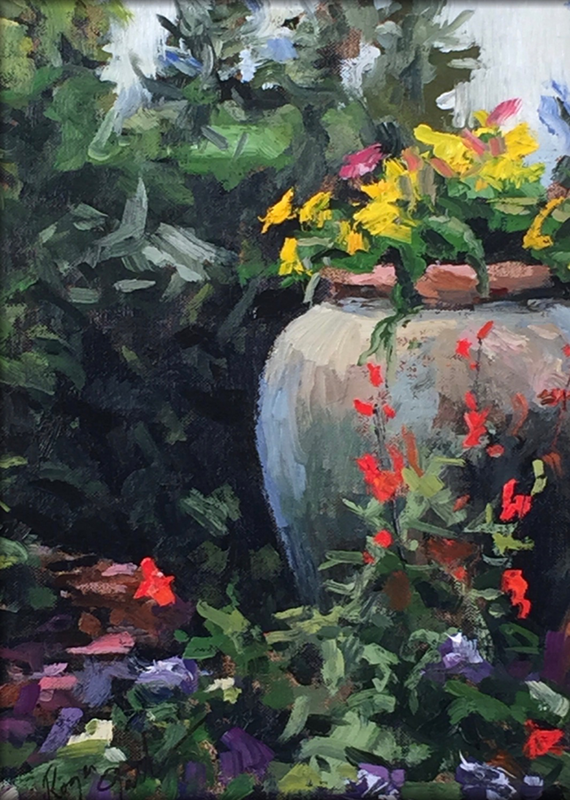 This is a very special opportunity for you to own an original work of art as a wonderful reminder of the extraordinary 2018 Placitas Garden Tour. 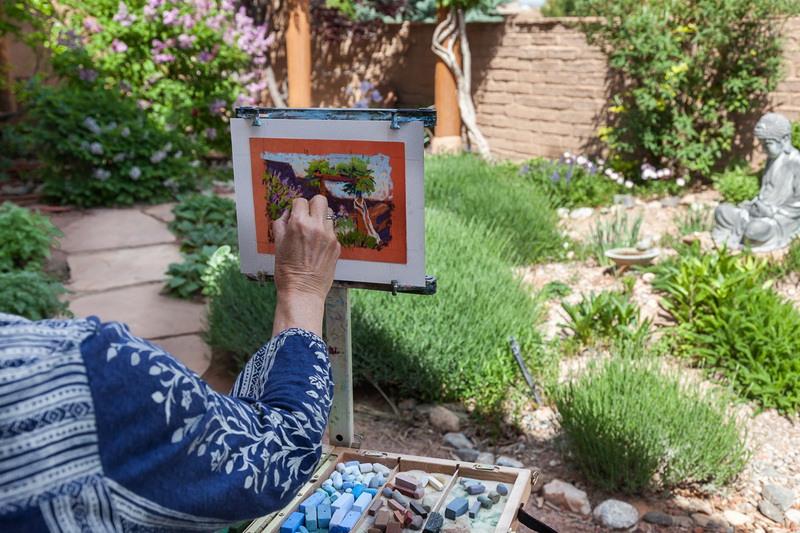 The artists are working in collaboration with the Sandoval County Master Gardeners & the Placitas Community Library to raise funds for future landscape projects & educational programs in Placitas. From the Northwest, born and raised in Portland, Oregon, Bonnie always had an ambition to be an artist. She was continually recognized for her ability and encouraged by her teachers throughout her school years. After raising four children, she is now able to concentrate on her passion of painting. 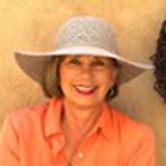 She has lived in Albuquerque for over 40 years and recognizes this is the place for an artist. She has a great appreciation for light and shadow created by the sun which most of the time was missing in Oregon. 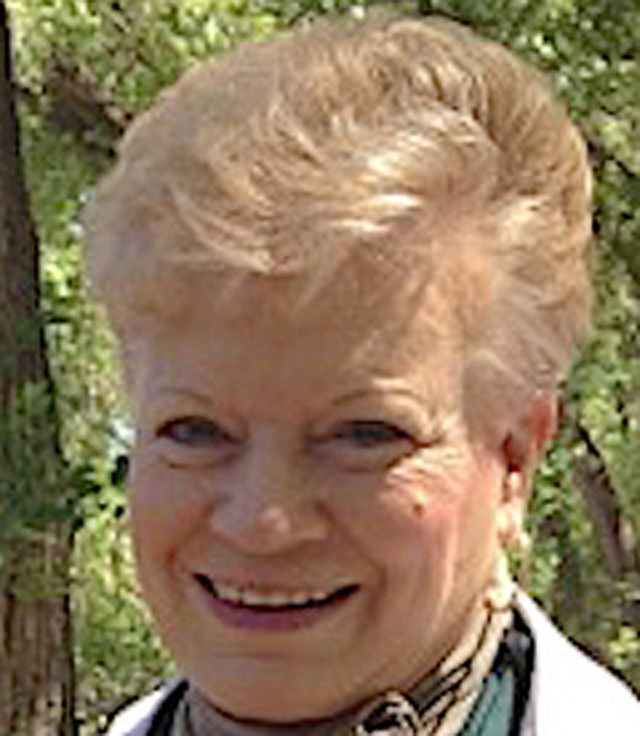 She is involved in anything to do with art, whether it is taking workshops, (“one never stops learning as long as you can breathe” is her motto), plein air painting, studio painting, and leadership roles in various art organizations, She paints still life, florals, pet portraits, and landscapes. Bonnie studied at Portland Art Museum and Portland State University. She has studied under New Mexican artists Boondy Wang, Lou Maestas, Grieg Chapian, Howard Wexler, Siegfried Hahn and Deborah Christensen Secor. Her artwork is in private collections from England and throughout the U.S. She considers her painting style to be impressionist realism and delights in the chiaroscuro effect. She has exhibited at the New Mexico Art League, New Mexico State Fair, MasterWorks at Expo, NM, Encantada, Watercolor Society Exhibition and Jemez Art Gallery. Professional Organizations she belongs to are: Life member of New Mexico Art League, Rio Grande Art Association, Pencil Painters of NM, and Plein Air Painters of NM. 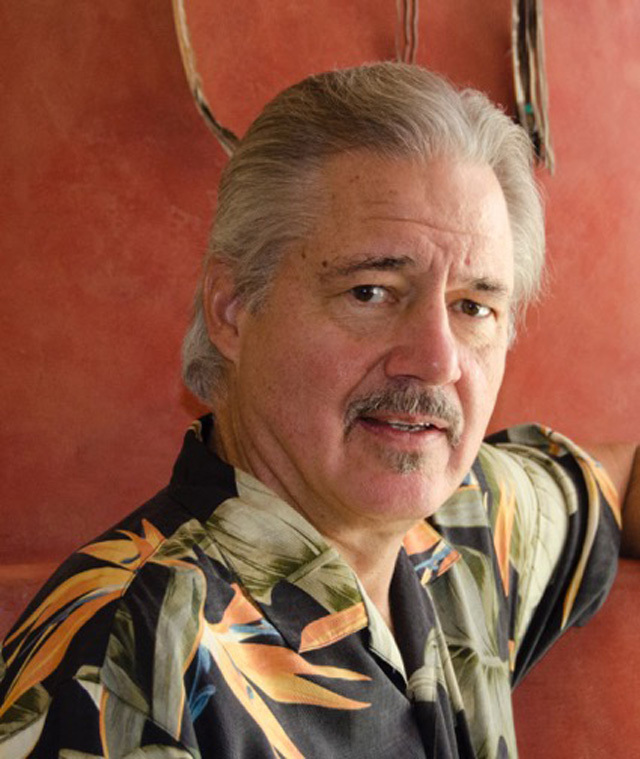 Roger “Reg” Gathman has lived in New Mexico for most of his life, which might explain the nature of his work. Skies and brightly lit vistas are a favorite subject matter in his paintings. 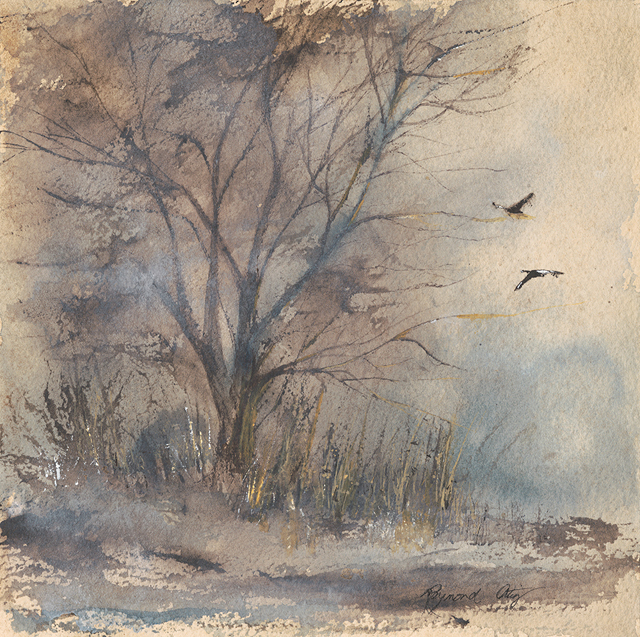 His favorite medium is oil, but he has explored watercolor and graphite techniques, as well. Whenever possible, he likes to work on site trying to capture fleeting light and shadows. 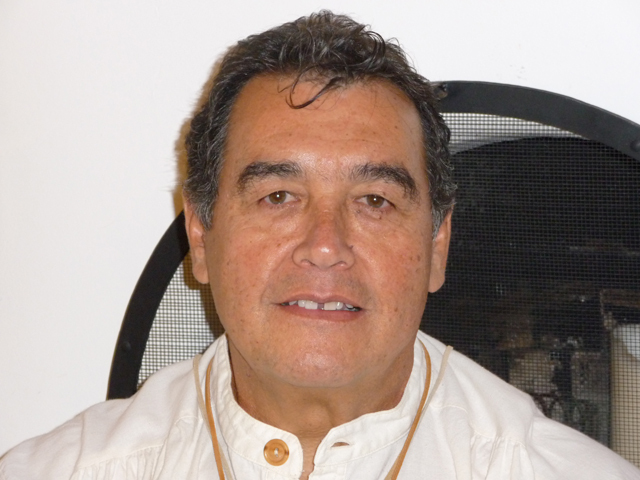 He graduated from the University of New Mexico with a degree in art education. In 1970 he accepted a teaching position at the Albuquerque Academy where he taught visual arts for 42 years before retiring in 2012. He will always treasure that experience of working with young artists at least as much as he does executing his own work. In 1988, Reg had the good fortune, during a sabbatical, to work with Wilson Hurley, one of America’s greatest Western landscape painters. He considers that opportunity one of the major highlights in his artistic career. “Wilson knew so much about so many things! I was always amazed and completely inspired every time I had a chance to sit and talk to him about art, or just life in general.” Another subject area explored by Reg is his beloved raptors. He is a master falconer and has been flying his birds for over thirty years. He also enjoys breeding racing pigeons and raising a backyard flock of chickens. Reg lives in Edgewood with his wife Krista in a rammed earth house they built in 1994. He continues to add bird pens to the estate while enjoying the marvelous New Mexico skies. 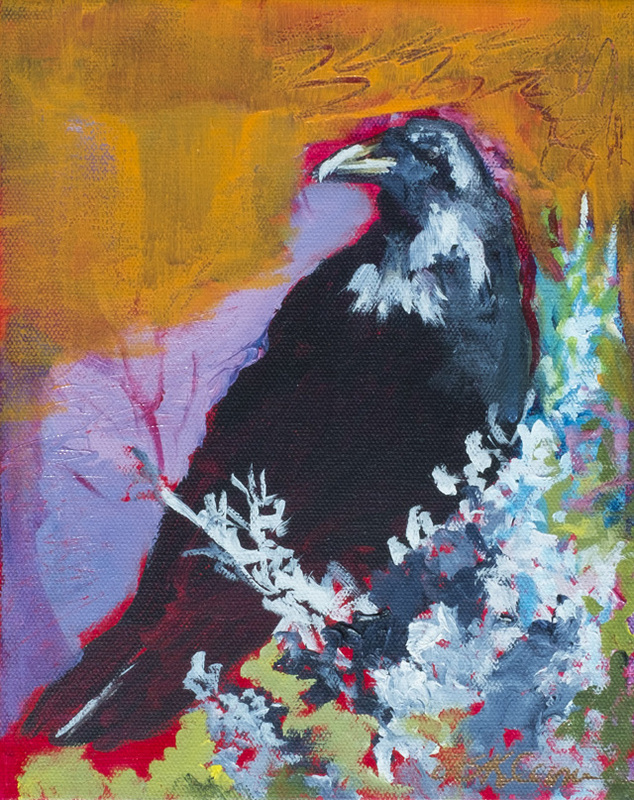 Reg’s work is part of many private collections around New Mexico and the U.S.
Adrienne Kleiman is an acrylic and oil painter. Her style bridges Realism and Impressionism where one often overshadows the other. 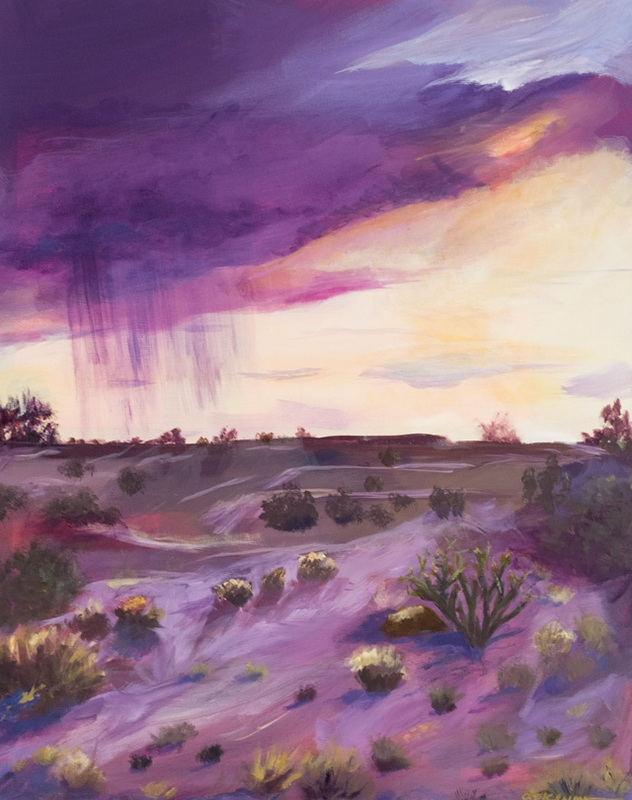 While she is inspired by the life, landscape, architecture and lore of New Mexico, she is most moved by color, light and shadows, shapes and imagination, giving her unrestrained freedom in the subjects she chooses to paint. 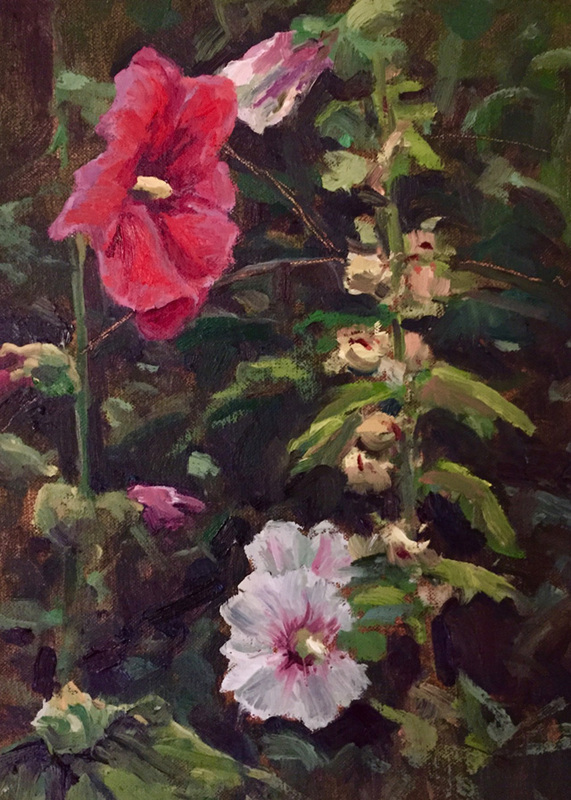 Adrienne is primarily a studio painter but enjoys Plein Air painting. Since 2013 Adrienne has been a part of many exhibits throughout Albuquerque and Santa Fe. Her painting Another Day in Placitas was selected by jury to be the brand for the 2018-19 season of the Placitas Artist Series. Her work is shown at Alexander Stevens Gallery on Canyon Road, Santa Fe and the Range Café in Bernalillo. While growing up in St. Louis, Michael began drawing after a second grade class assignment awakened his innate artistic abilities. During High School, Michael was recognized with several Art awards. He graduated from Southeast Missouri State University with a degree in Art Education. His career began as a commercial artist and freelance illustrator. 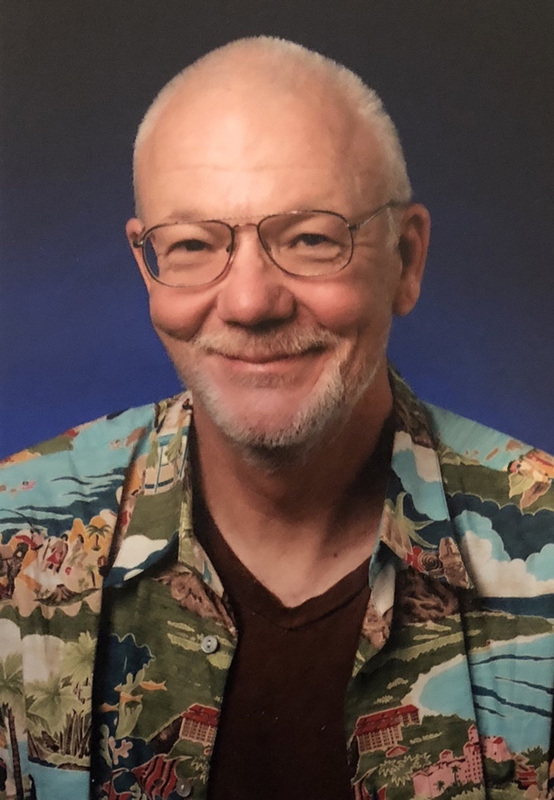 He quickly rose to manage several art departments, but continued to illustrate for advertising agencies, magazines and companies such as Hallmark. Michael continued his career holding a series of senior management positions in the publishing industry, which relocated him and his family to Kansas City, Toronto and Chicago. All the while continuing to paint and show his work in shows and galleries, which resulted in a series of awards. He and his wife, Beth, moved to New Mexico in 2010 to dedicate more time to painting. Since then he has won awards in several of the top art shows, including Enchantada and Masterworks and shows at galleries in Albuquerque and Santa Fe. Michael is accomplished in oil and watercolor portraits, figurative and landscape subject matter, with a highly realistic style. 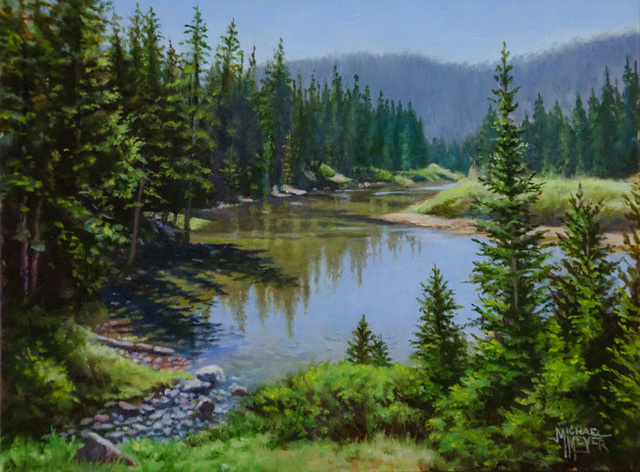 He has strong interest in western themes and frequently paints plein air landscapes. You can see his work at on line at meyersart.com or at the Warren and Collectables Gallery in Old Town Albuquerque, or at the Weiss Gallery in Santa Fe (at the bottom of Canyon Road). I find painting to be the ultimate challenge. Most non-artists don’t realize the extent of knowledge and experience involved in creating a high quality, finished piece of art. From early on I have had strong drawing abilities, but I’ve discovered through the years that there is always something more to learn about technique, design, color, balance, composition, creativity and that little magic that we often learn by accident. Fusing this knowledge into something appealing to a buyer comes down to the artist’s emotional and esthetic sensibilities. In the end the taste of the artist has to appeal to the buyer. I have focused heavily bringing out the character in faces and figures, as well as the color dynamics in landscapes. I strive to continue to challenge myself and grow as an artist. 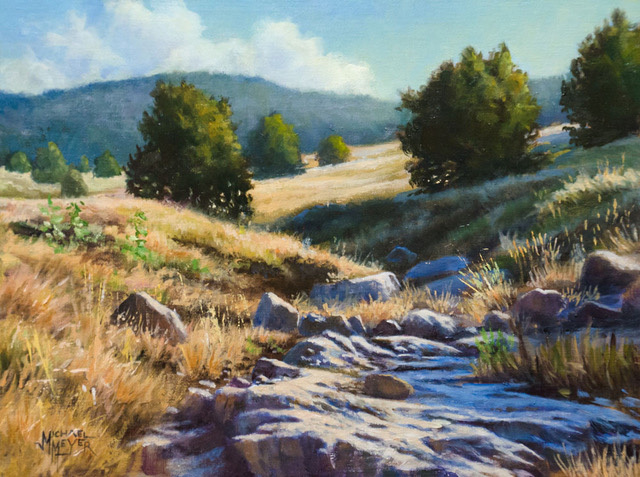 “Plein air painting is all about looking and feeling, experiencing what nature delivers and then turning that experience into a visible painting ‘encounter.’ Nature is the teacher,” as she puts it. 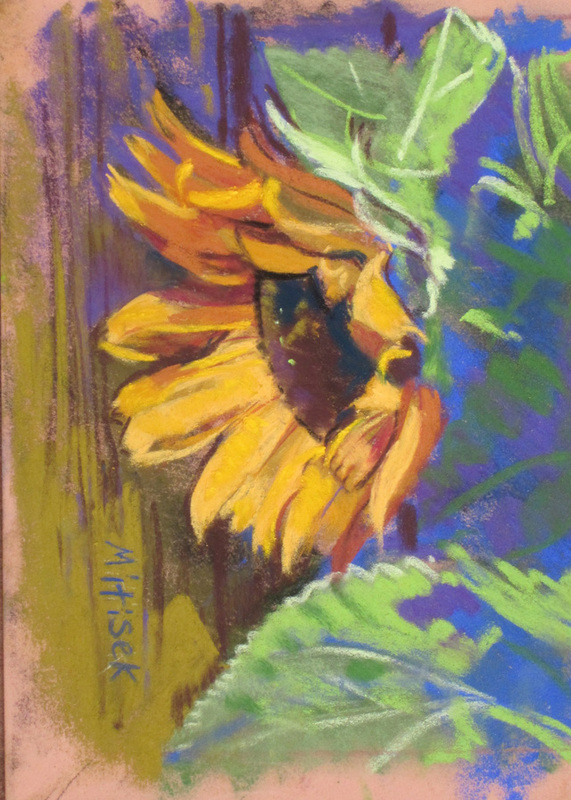 Corrales pastel painter Mitisek, after a long, varied career in art teaching, advertising, landscape design and the running of a native plant nursery, made a commitment in recent years to rekindle the artist inside and return to painting. Her award-winning work is available via her website, bonniemitisek.com. Her designs also are available in a series of cards, a license plate, posters and more. My career was in the computer related field for 40 years. I love art and the technical process, often achieving good results or sometimes through a happy accident. The time spent on my art often feels like a meditative state, with my focus on the love of the subject. 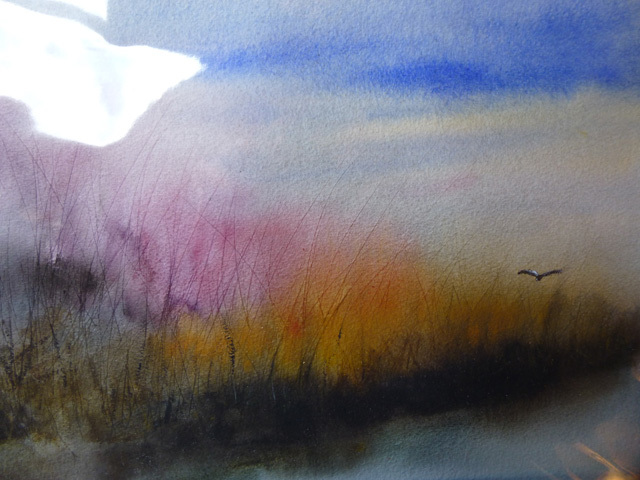 I now work in a variety of mediums, pen/ink, charcoal, watercolor, acrylic and oils. My approach is to use limited strokes and a limited palette, and if along the way you break a few painting rules, that’s okay. I can’t quantify how much living an artistic life adds to my life, my well-being, my pleasure and my joy. I am grateful for each and every moment. I have studied with Dorothy Voorhees, Jae Drummond, Bud Edmondson and Carol Carpenter. I have been a member of several galleries, won many awards, including Best of Show in the Miniature category in Masterworks of New Mexico in 2012.